Khalil has been a community pharmacist for 17 years and has worked in his own pharmacy in Pudsey, Leeds for the past 8. But on 13th March Khalil took on a new role – he became a Pharmacist Support 175 Hero! 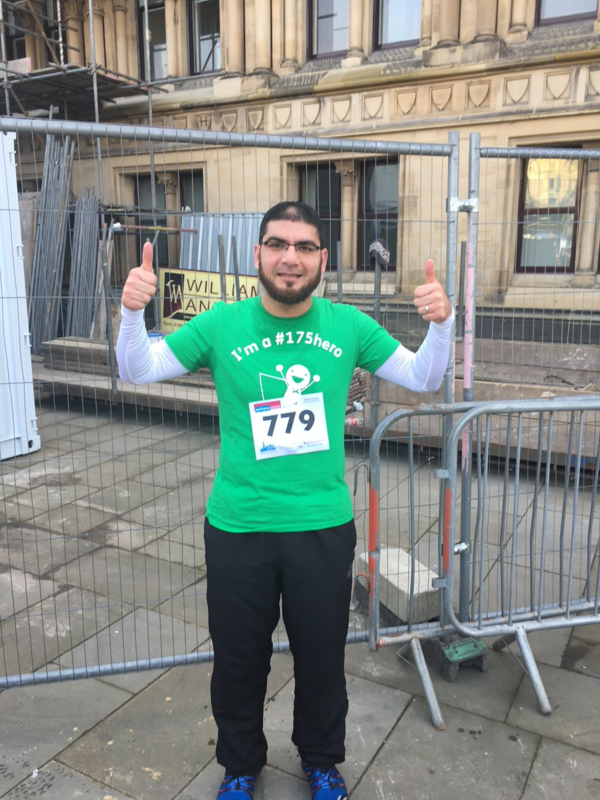 Joining over 900 runners in the Bradford 10k Khalil raised a whopping £135 for the charity. But our new hero is not stopping there – oh no! Plans are afoot (with fellow conspirators and 175 heroes at CPWY) to arrange a big bake off between West Yorkshire pharmacies! We can’t wait to see the results. We caught up with Khalil to find out what inspired him to get involved. I’ve been a community pharmacist for 17 years. I have worked for the large multiples and for the last 8 years I have worked in my own Pharmacy in Pudsey, Leeds. I love being the heart of the community and really try and make a difference to people’s lives. I do quite a bit of charity work as I believe happiness comes from helping others and when I heard about Pharmacist support I thought to myself if Pharmacists don’t help their fellow professionals then who will? I think many will assume that because we are Pharmacists we will not suffer from anxiety as we should know what to do in that circumstance. But it’s always nice to know that there is someone on the end of the phone. It’s not too late to support Khalil. Visit his justgiving page and donate today.